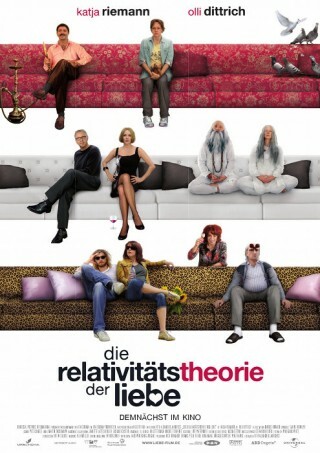 Before the distributor had finally changed the title to „The relativity theory of love“ in order to promote the movie as a romantic comedy the film´s original title was „Pigeons on the roof“. Spoiler alert! If you happen to want to watch the movie, it has some romantic moments but it is definitely not a romantic comedy! It is a movie about the very principle of making movies: „Make believe“. I have always favored the imaginative, experimental side of film making over the „vérité“ side. Hence, why should the various characters of a movie be necessarily portrayed by different actors and not just by two? Film is fiction, there is no reality. Reality just doesn´t exist in a movie, it is all make believe and we know it. We all know that George Clooney is playing a killer without being one himself, that Josh Brolin is George W. Bush only in the movies and that Tom Cruise is Tom Cruise and not Colonel Stauffenberg, who didn´t speak a word of English and was shot 18 years before Tom Cruise was even born. I love that about movies!